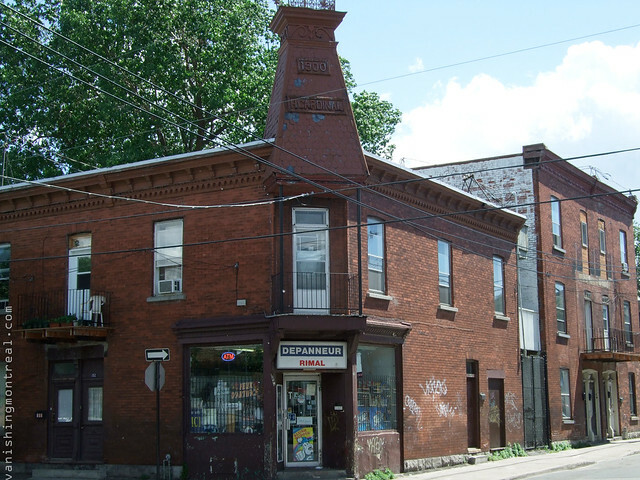 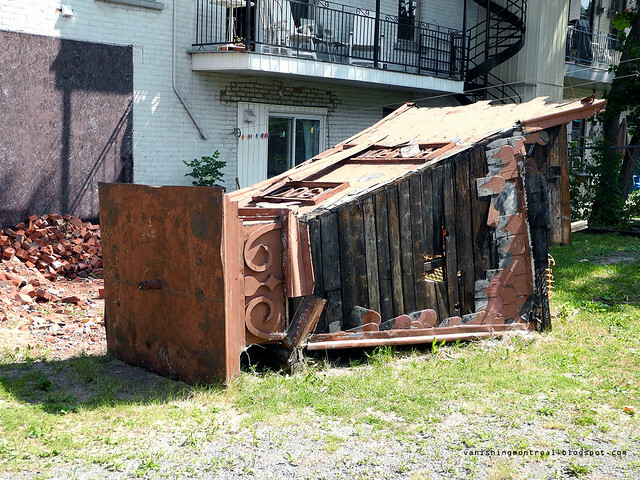 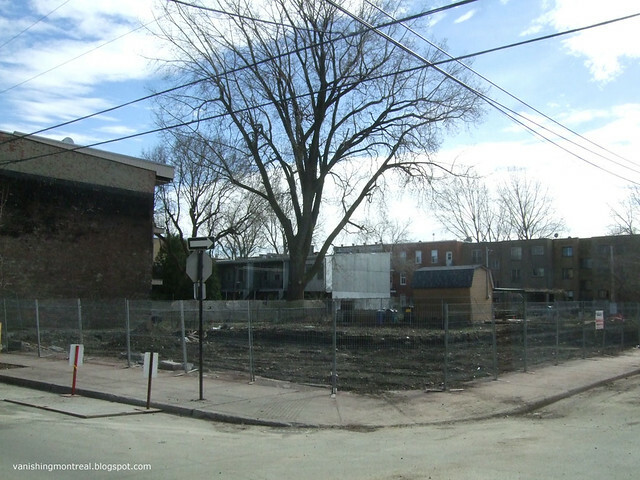 The depanneur on the corner of Ste-Emilie and Bourget in Saint-Henri was demolished last Winter 2012 (link). 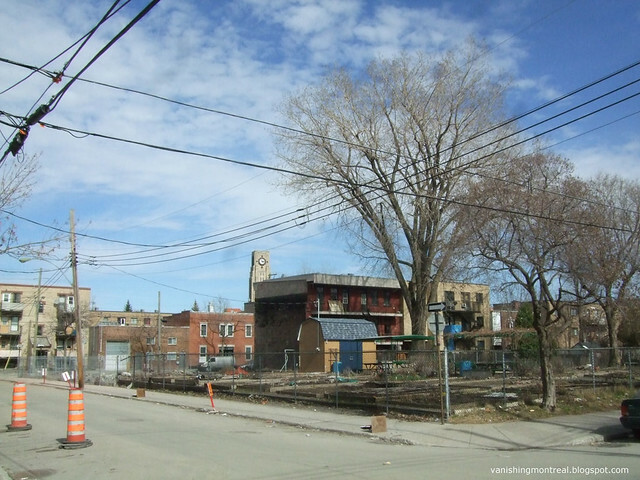 I took the two first photos back in April 2012 and the last time I was in the same area, August and September 2012, nothing was changed. 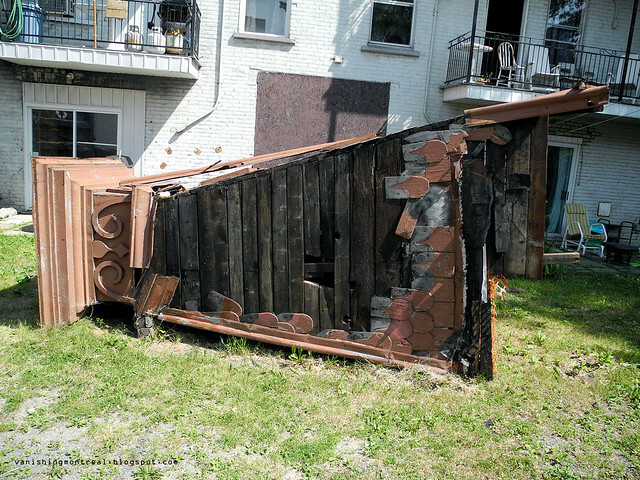 I did find the corniche in some backyard (photos taken in August). 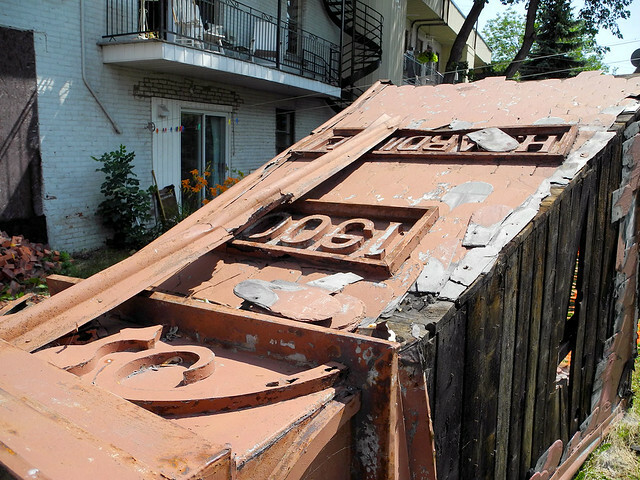 It was somewhat preserved but it was in such a bad shape that I doubt it'll be saved.